André Franquin was born in Etterbeek, Belgium in 1924. According to the man himself he was always drawing and while he only got about a year of actual drawing lessons before these were cut short due to the war in Europe. 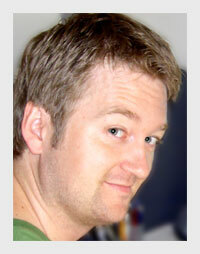 His talent was obvious however and eventually he wound up working for the Belgian magazine Spirou, a comic magazine that was the original home of several European comics (perhaps most notably Peyo’s The Smurfs). Spirou was the name of the Magazine’s title character a red-haired bellboy. The character, as well as his best friend Fantasio and pet-squirrel Spip was invented by Robert Velter. When Franquin joined the magazine the series was being handled by Jijé but despite his well proven talent his efforts with the series do come across as a poor man’s version of Hergé’s Tintin. Jijé himself grew tired of Spirou and Franquin was called upon to continue the series, in the middle of a story no less - without a script to work from! The young Franquin managed admirably and it wouldn’t take long before he more or less redefined the series. In a manner similar to Carl Barks’ work with Duckburg, he really defined a world and expanded character rooster that has remained with the series ever since. 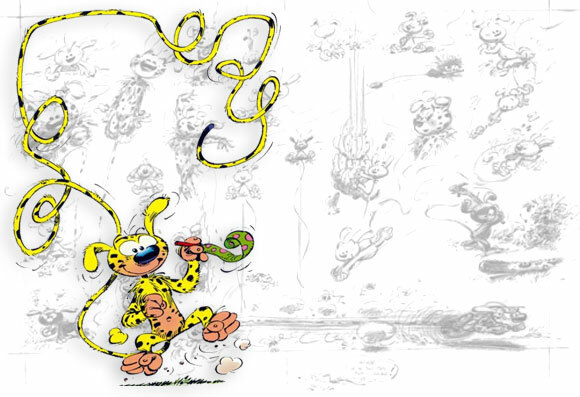 His most eye-catching character was definitely The Marsupilami, a fantasy animal from the imaginary south-american country Palombia. More important to the evolvement of the series was the invention of The Village Champignac. This quintessential french village would be the starting point of many an adventure and the home to many of Franquin’s new characters, most importantly The Count of Champignac. The Count, or Pacôme Hégésippe Adélard Ladislas de Champignac (yes I did look it up) fast becomes a close friend of Spirou & Fantasio. In addition to his noble lineage he is also an eccentric scientist and as we all know, eccentric scientists = high adventure. Eventually Franquin, like Jijé before him, grew tired of Spirou and passed it on to a younger artist (Fournier). While Fournier and later Tome & Janry kept the series well alive, it never reached the same constant brilliance as it had done during Franquin’s reign. 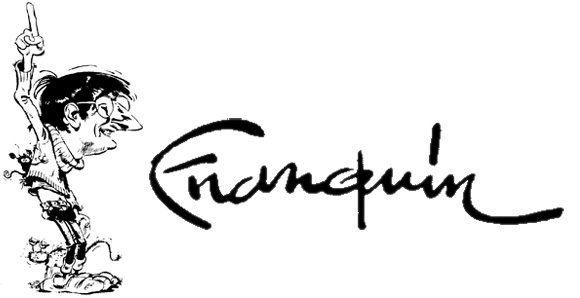 Franquin himself continued to draw and write, concentrating on his own characters. Fantasio’s lazy, clumsy but equally kind and inventive subordinate Gaston Lagaffe seemed to receive the maximum attention. Unlike Spirou and Fantasio, Gaston was way too lazy to ever embark on any expeditions or fantastic journeys, perhaps a result of Franquin himself growing older. In 1997, at the age of 73, André Franquin passed away.